Additional Description: The marker is roughly in the middle of the photo in this view, in front of a group of three people. To the left is a simple marker noting that the conservation of the Pyramid of the Sun completed 100 years. 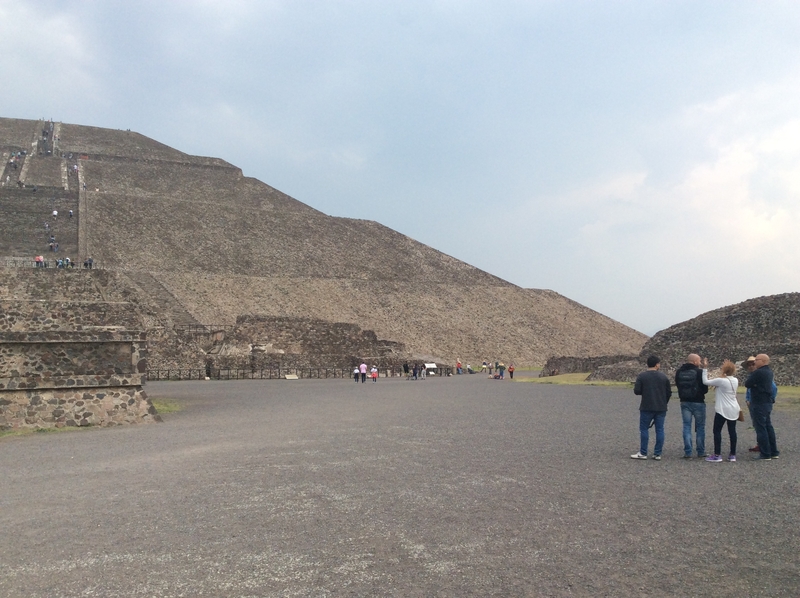 To the right are two additional markers: "Pyramid of the Sun" and "Pyramids That Look Like Mountains".